Lt. Jon Frazier wipes down Edgewood Fire Department's Engine 91 as the department prepares for a Dan's Fish Fry fundraiser this Saturday from 4 to 8 p.m. at the station. 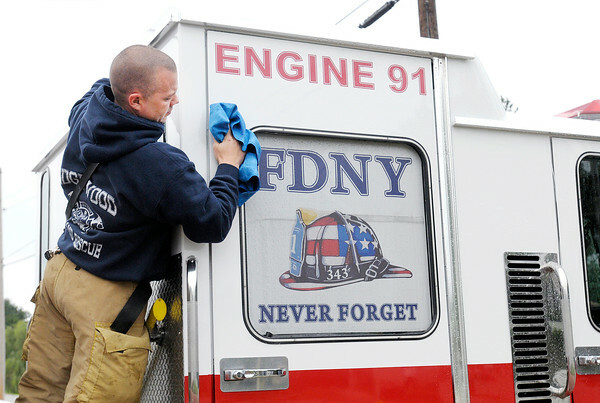 Engine 91 carries a reminder of the 343 New York firefighters who died in the terrorists attacks on the World Trade Center. Look at today's C1 for coverage of the 9/11 anniversary.